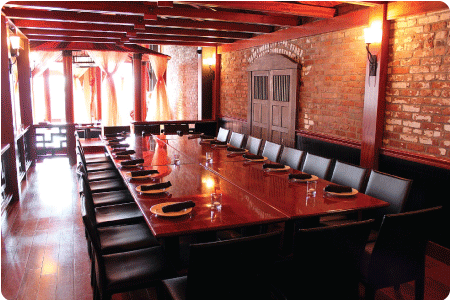 For larger parties, our Banquet Room seats up to 55. It can accommodate even more if not all are seated. This private room is adorned with Victorian chandeliers, sculptured metal artwork, and a large archway entry steel door with lighted glass columns. This is truly a unique and stunning place to hold a large company meeting or wedding reception. Call 253-272-8200 to make your reservation. 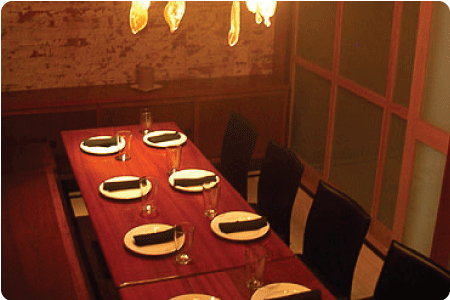 For your medium to larger parties, 25 people maximum, although not private this room provides an atmosphere of beautiful cherry columns, rafters, brick, and cast iron fittings. For private, small parties, 12 -14 maximum. You’ll enjoy a lush environment of Japanese style panels, cherry rafters, and a long table lit by an exquisite French lamp. 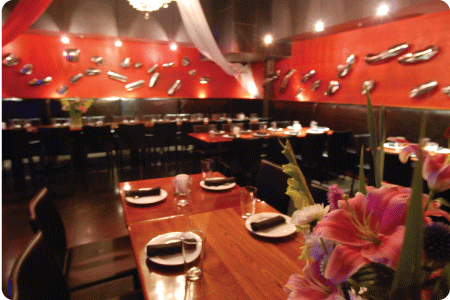 Our Tatami Room books with a $25 Room Charge and a food & beverage minimum spending of $300. For small parties, 12-14 maximum, such as a birthday or anniversary celebration. 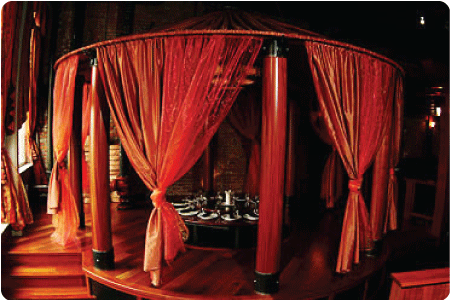 You will sit Thai style in a round pavilion surrounded by ornate drapes and sheers and lit by a famous theatre lamp. The Pavilion books with a $25 Room Charge and a food & beverage minimum spending of $300.